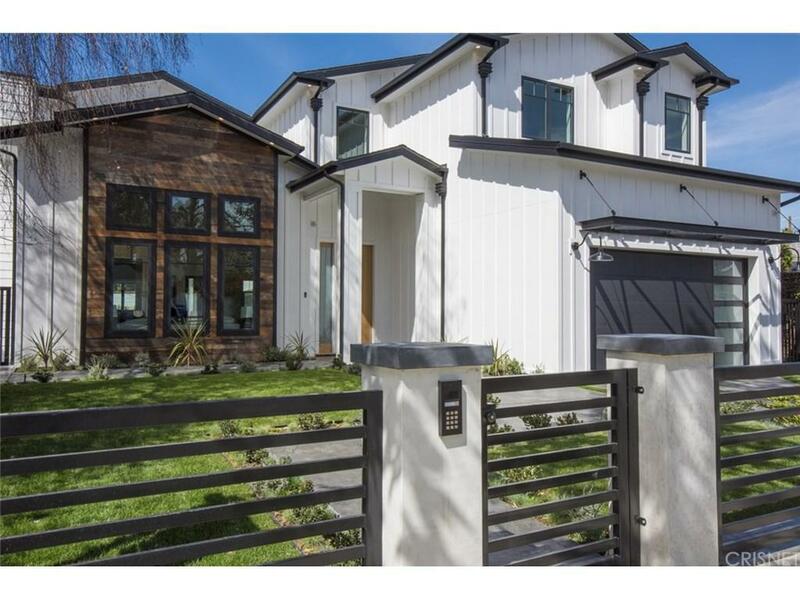 Stunning new modern farmhouse in desirable Studio City neighborhood on large gated lot, over 9,300 sq. ft. Home of approx. 5,150 sq. 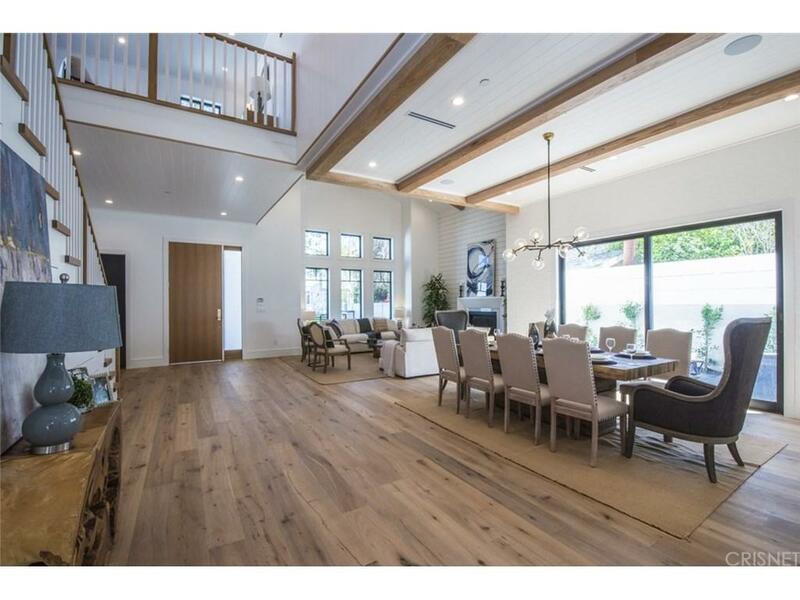 ft. with open and spacious floor plan features 5 BR-5.5 BA, office, dining room with sliding glass doors, upstairs seating area and patio, and home theater is complimented by pool house/cabana of approx. 234 sq. ft. A spacious, gourmet kitchen with custom cabinetry and two islands features stainless-steel appliances including espresso maker, as well as butler?s pantry with wine cooler and walk-in pantry. Kitchen opens to large family room with fireplace, built-ins, and sliding glass doors to covered patio. Large backyard features barbecue area with bar seating, pool/spa, and cabana with two sets of folding glass doors, fireplace, and three-quarters bath. Spacious master suite features pitched, beamed ceilings, fireplace, two walk-in closets, and bright bath with custom tilework. 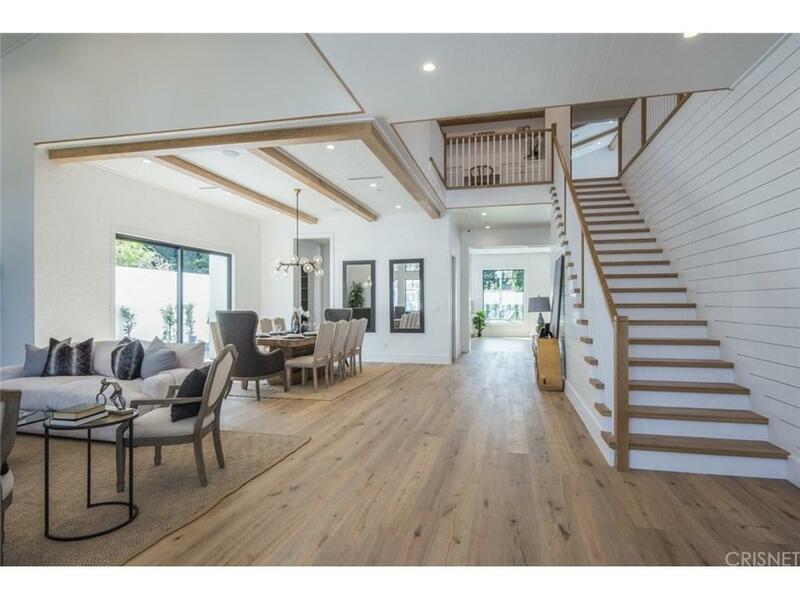 Home is completed with entertainer/designer details such as surround sound, Control 4 smart home system, custom woodwork, and security system with cameras. A must see to take in all it has to offer! Sold by Luis Pezzini BRE#01004601 of Pezzini Luxury Homes.